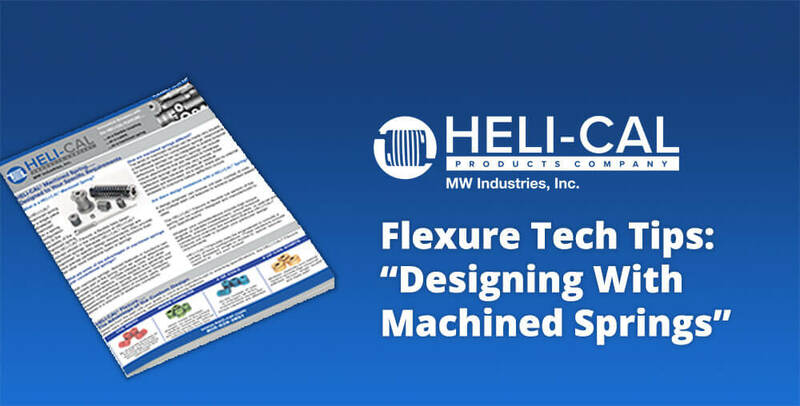 HELI-CAL® Flexure Tech Tips » HHP Associates, Inc.
A HELI-CAL® machined spring is a single piece of material machined into a spring configuration. Key to the versatility of the machined spring is the HELI-CAL® flexure, a flexible helix beam concept utilized in the manufacture of HELI-CAL® machined springs. Because the springs are “machined” to specific design requirements, they provide more precise performance, features and functions than can other more traditional types of springs. Please explore this guide to learn how to use HELI-CAL® flexures in your design. We are honored to serve as a manufacturer’s rep for HELI-CAL. HELI-CAL’s proprietary process creates a flexure for couplings, machined springs and one piece custom solutions that integrate attachments, simplify assembly and can be accomplished in a wide range of exotic materials.